Homestead House Paint Co. Premium Furniture Paint line! *No Priming! *No Top Coat *No VOC's! We have taken 10 years of experience, expert testing and refining to provide what furniture painters require in paint: zero VOC, durability, strength, and environmentally safe. Giving a chalk like finish to mimic our milk paint line, this 100% acrylic latex paint requires no priming, sanding, or top coat! Our Furniture Paint can be applied to almost any previously painted or coated surface without priming or prep work. Be sure to follow the directions to remove any previous waxes or grease from your surface prior to painting. This is an interior paint. Please see our Exterior Paint section for our premium exterior house paint collection. After this paint has cured it is highly durable and a washable finish, without adding a top coat to it. You may of course add a beautiful lustre with any wax on top! The Paint is dry to the touch after 2 hours, re coat after 4 hours. Cure time with all acrylic paints is 21 days, however can be used gently after 24-48 hours of drying. How much does 1 Quart cover? Excellent coverage! In most cases 1 coat is all you need! In one quart your expected coverage is 150 sq ft. For example that’s a large Armoire, a small dresser, two sides tables and 4 chairs. A little goes a long way! We have 30 featured colours that you can see here - however you can custom order any colour you like, and we can match it at no extra cost! What sheens does it come in? 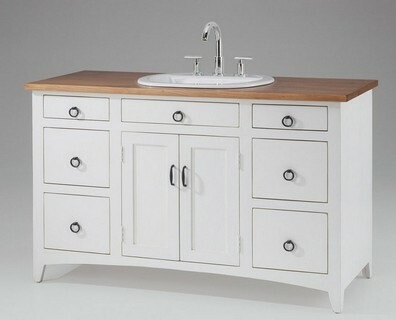 We offer our premium Furniture Paint line in a beautiful dead flat finish, that means almost a zero reflectance value to achieve that beautiful chalky matte finish, similar to our milk paint, however the bonus is you don’t need to mix it, you don’t need to prime, and no top coat required- that’s right this is a washable finish! We also offer our Furniture Paint line in a Eggshell finish, perfect for high traffic areas such as Kitchen cabinets. This is a scrubbable finish. Is it easy to distress? Absolutely! This paint is very easy to work with! However we suggest distressing soon after the paint has dried. It is very durable, so distressing is a bit more work after it's cured! Wet distressing is very easy with our Furniture Paint. 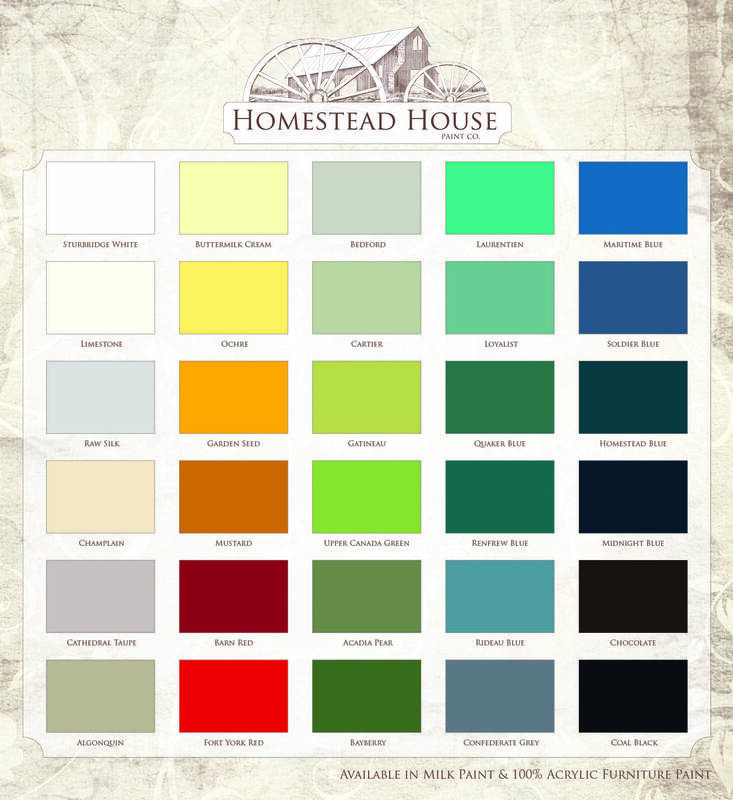 © 1988 - 2019 Homestead House Paint Co.